I love photographing squirrels, and intend to write more about them later. For the moment, I am posting images of three very different squirrels: a tree squirrel, a ground squirrel, and a chipmunk. Marmots and prairie dogs are also ‘squirrels’, and more closely related to ground squirrels than are tree squirrels. 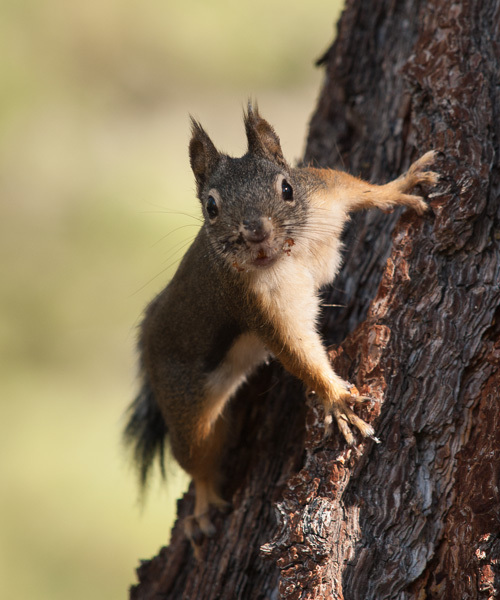 This tree squirrel is a Douglas squirrel (Tamiasciurus douglasii), which has been feeding on pinecones in the eastern Sierra Nevada Mountains of California. 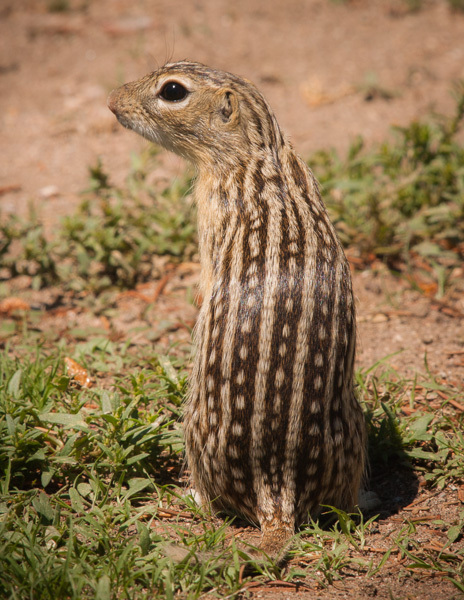 The ground squirrel pictured here is a thirteen-lined ground squirrel (Spermophilus tridecemlineatus), which inhabits the prairie country of the central United States. It hides the entrance to its burrow by taking the excavated soil away, and tamping down the disturbed area around the entrance. 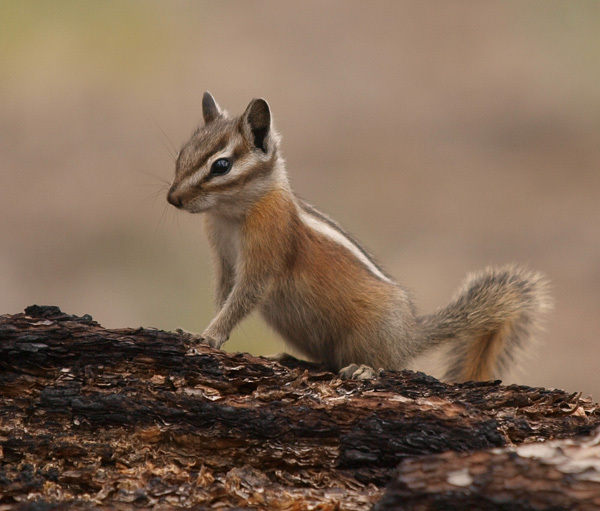 This little Uinta chipmunk (Tamias umbrinus) was photographed in the pine forest on the North Rim of the Grand Canyon. Uinta chipmunks are unusual in that they often nest in trees, rather than on the ground like other chipmunks.